After creating a sensation in the political circles of the State by announcing that he would return to Darjeeling on Thursday, absconding Gorkha Janmukti Morcha supremo Bimal Gurung did not turn up at the airport. His arrival was announced by his close aide Roshan Giri. 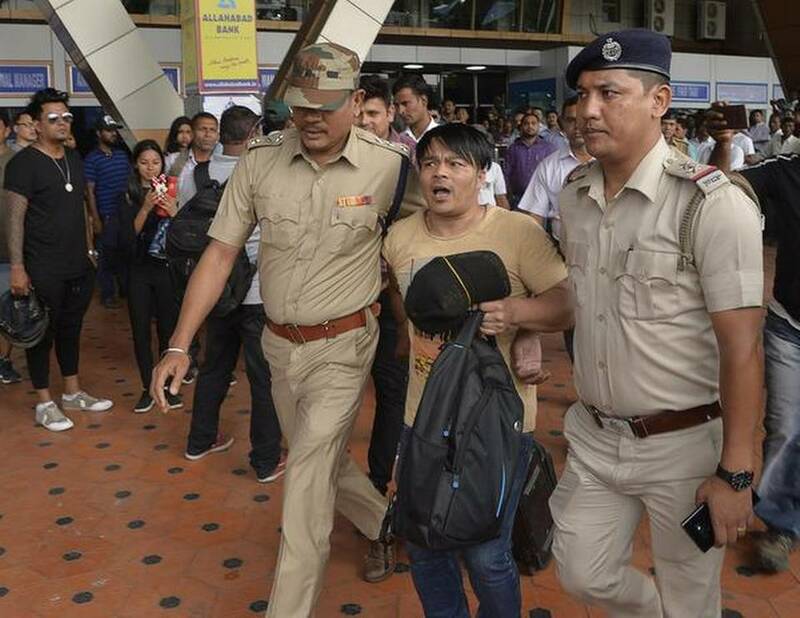 High drama was witnessed at the Bagdogra airport in anticipation of the return of Mr. Gurung, who has been on the run since September 2017 following the violent agitation for a separate State of Gorkhaland. The airport resembled a crisis zone with heavy deployment of police personnel waiting to arrest the GJM leader the moment he landed there. Two of Mr. Gurung’s supporters—Roshan Rai and Yogendra Pradhan—were detained from the airport. Mr. Gurung had been ruling unchallenged in the Darjeeling hills from 2008 till 2017. He went into hiding after the State government slapped numerous criminal cases on him in connection with the violence during the Gorkhaland agitation between July to September 2017. More than 10 people were killed in the protests that lasted a record 104 days under Mr Gurung’s leadership. The GJM leader had announced that he would return to the hills after the Supreme Court asked him and Mr. Giri to move the Calcutta High Court for anticipatory bail in connection with the cases filed against them. Gorkhland Territorial Administration chief and once a close aide of the GJM leader, Binay Tamang said Mr. Gurung would surely have been arrested had he dared to come to Darjeeling. “He wants to create a law and order situation in the Darjeeling hills so that the elections can be postponed,” said Mr. Tamang. The Darjeeling Lok Sabha seat, currently held by the BJP, is poised for a neck-and-neck contest between the Trinamool Congress and the BJP. Mr. Gurung's presence in the hills may tilt the balance in favour of the BJP candidate, Raju Singh Bista, whom the GJM (Gurung faction) and the Gorkha National Liberation Front are supporting. The TMC has extended its support to Darjeeling MLA Amar Singh Rai, who also has the support of the Binay Tamang faction of the GJM. “If Bimal Gurung comes to Darjeeling it will be a major victory for us. We hope that that he overcomes the legal hurdles and arrives as soon as possible,” Mr. Bista said.